Dawson’s Market in Rockville Town Square, shortly before its closing in October 2018. At the end of October 2018, Dawson’s Market closed in Rockville’s downtown. It was a big disappointment for the City of Rockville, who hailed its arrival in 2012 as a major success for the new Town Square. They spent years searching for an anchoring grocery store to attract daily shoppers to support the adjacent stores and restaurants (see MyMCM video, which includes hopeful remarks by several current and former elected officials). 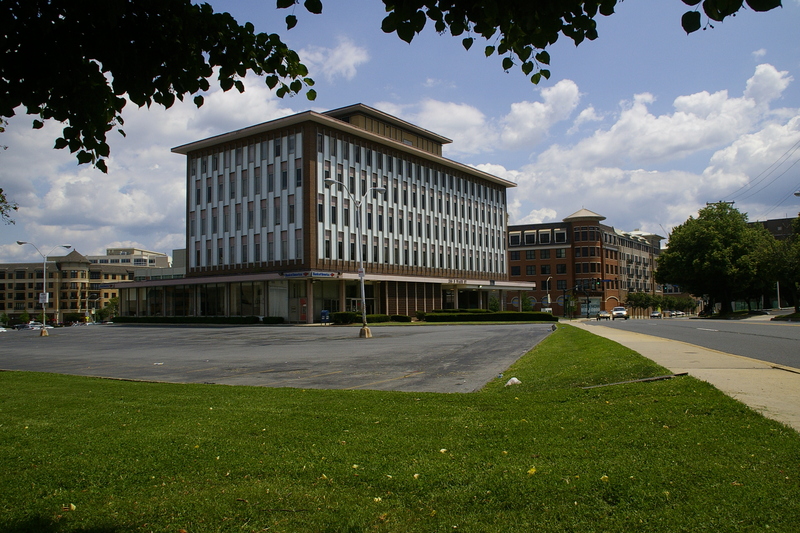 Suburban Trust Co. bank building, 255 North Washington Street, Rockville. The Institute of Musical Traditions may be based in Takoma Park but it holds a concert series of Celtic, folk, bluegrass, and Creole music at St. Mark’s Presbyterian Church (they call it Rockville, but it’s south of White Flint on Old Georgetown Road, so perhaps North Bethesda or South Rockville). Takes a break during the summer. Tickets run $15-20. Unplugged on the Rooftop, a Tuesday night concert series in Town Square featuring a mix of established and undiscovered local bands, such as The Digits and Meredith Seidel. Admission free, cash bar. Wine Down is a Thursday night series from June through August that features live acoustic music while sampling wine and food from the nearby restaurants. Free. Friday Night Live starts the weekends from May through September with free outdoor concerts (mostly rock from the 80s and 90s) in Rockville Town Square on Friday nights. Focus Music presents concerts of acoustic traditional and contemporary folk music at three locations around DC, including the Unitarian Universalist Church in Rockville. Folk ‘N Great Music hosts intimate house concerts every other month on a Saturday evening (yup, in houses around Rockville and it’s the very first unionized house concert series in the US). Next concert in June. Reservations required, donations encouraged. Maryland Summer Jazz Festival, now in its eighth year, includes public concerts and a jazz camp in July. Not exactly sure of the location but I suspect it’s somewhere in the south end of Rockville judging from the list of sponsors. Rockville Concert Band, Potomac Valley Youth Orchestra, and other musical groups perform at the F. Scott Fitzgerald Theater in Rockville’s Civic Center Park throughout the year. Admission fees vary and most recommend reservations. Also in Civic Center Park, Glenview Mansion hosts monthly concerts on Sunday afternoons in its conservatory. Admission free. Music Center at Strathmore is certainly of the region’s crown jewels and just ten minutes from my house. It has two venues: the large new concert hall and the intimate music room in the historic mansion. Both present amazing performances by some of the leading artists in the country as well as being a home for the National Philharmonic (Rockville’s own Piotr Gajewski is conductor), Baltimore Symphony Orchestra, and Washington Performing Arts Society. 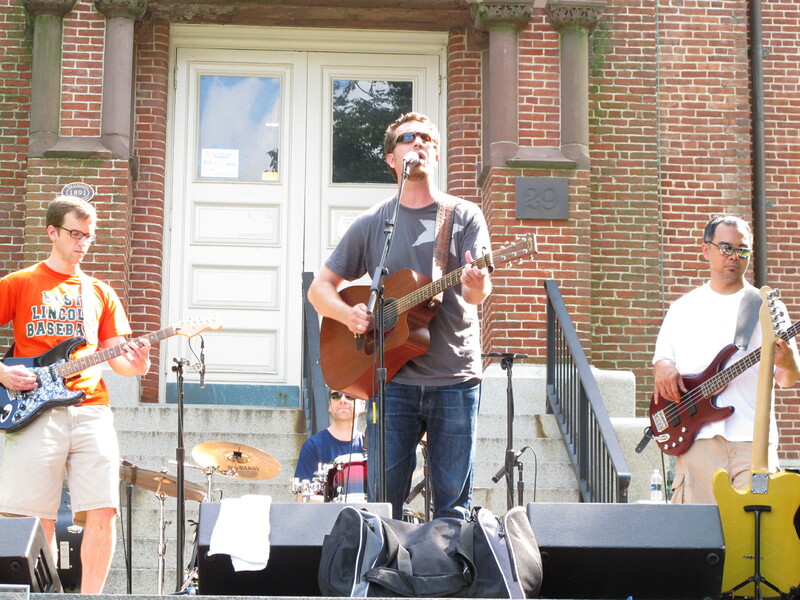 Hometown Holidays, a regional event hosted by the City of Rockville, takes place over Memorial Day weekend with something like forty free concerts on eight stages (this year’s headliner is country singer Easton Corbin), along with lots of food, craft booths, and of course a parade. Wow, there’s plenty here in Rockville to keep your feet tapping all year but I’d love to make it a dozen. If I missed a local concert venue or presenter (local means within two miles of the Red Brick Courthouse), please share it in the comments below. I’ll be leading a 1.5-hour walking tour of Rockville’s downtowns for Peerless Rockville on Saturday, May 7 at 10 am. Wear comfortable shoes, be prepared for the weather, and consider enjoying lunch afterwards (unfortunately, some of the tour is not accessible to persons with limited mobility). Space is limited so please register in advance with Peerless Rockville. Wondering About New Developments in the County?